his Eagle Scout Award at age 15. He was also Chairman of the All American City Committee when Asheville won that award in 1970. 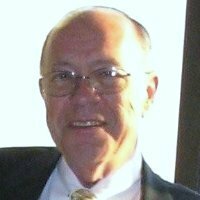 Joe was President of the Asheville Jaycees in 1970-71 and voted Outstanding Young Man of the Year for Western North Carolina in 1972. He was Founding Chairman of the Boy’s Club of Asheville in 1972 and President in 1973. Joe was Vice President of the Chamber of Commerce in 1974-76 and received the Award for Outstanding Community Accomplishment. He is a strong supporter of the United Way of Asheville and Buncombe County and a founding member of the Peaks Society which is leadership giving for the United Way. He was chairman for that group in 1989. Joe was Founding Co-Chairman for the United Way HumanCare Foundation 1990-1995 and served as Chairman 1998-2002. Joe is currently a board member of the Community Care Foundation and has served since 1999 on the Finance Committee and Investment Committee. Joe is a co-founder of Waypoint Strategic Financial Advisors, LLC, a Registered Investment Advisor, and is the managing partner of our Asheville, NC office. He started in business in 1963 after a three year tour in the Army. He has earned the designations of Chartered Financial, Consultant, Accredited Estate Planner, Certified Family Business Consultant, and Chartered Life Underwriter. He has a Master of Science in Financial Services from the American College in Bryn Marr, PA. Joe, a lifelong student, also completed the course work for the Master of Liberal Arts at UNCA with a 4.0 average. 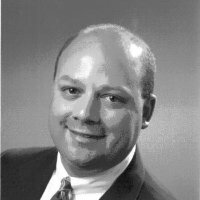 Rick is a co-founder of Waypoint Strategic Advisors, LLC, a Registered Investment Advisor, and is the managing partner of our Summerville, SC office. He has more than 35 years of experience in the financial services industry. Before that, he served in the United States Marine Corps. He is also a co-creator of the Inspired Independence Process™ and the Family Success Navigator™ to help our clients think through their most important goals in life. Rick has been very involved in his local community, founding a Rotary Club and helping start several youth sports organizations. Ben is a lifelong resident of Summerville, with the exception of the 4 years he spent getting his Bachelor’s Degree in Marketing from Clemson University, and is passionate about giving back to his community. He was president of the Summerville Jaycees in 2006 and 2007 and a founding member of The Summerville Evening Rotary Club. 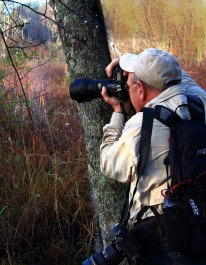 He is currently scheduled to become President of the Summerville Evening Rotary Club in 2011. He is a graduate of Leadership Dorchester, a program designed for young leaders of Dorchester County. His Leadership Dorchester class helped coordinate the remodeling of the board room at the Dorchester Children’s Center in Summerville. He became a full time advisor in 2004 and his main focus is working with young business owners, pharmacy owners and professionals. He enjoys working with them to help them accomplish their most important life time financial goals. He is a cofounder of the Inspired Independence Process™ and the Family Success Navigator™ which has had a tremendously positive impact on pharmacy owners and family business owners. He currently resides in Greenville with his wife Samantha (She's the pretty one in the picture above). David was born in New Orleans, LA. He is a 40 year resident of Asheville, NC. Some of his recreational interests are golf, skiing, mountain biking, hiking, cooking, dogs. He attended the University of North Carolina from 1980-1985, major chemistry. In 1997 he obtained Life Underwriting Training Council Fellow, LUTCF and is currently enrolled in courses to qualify for Chartered Financial Consultant designation. David is interested in giving back to his community. In 2009 he became Leadership Asheville Fellow and is currently serving on the Leadership Asheville Fellows Advisory Committee. He has a son, David, and was involved in his youth activities. He was youth soccer coach and referee and also and assistant baseball coach for Buncombe County Recreation 1993-2000. He and his son also spent valuable time together in the Boy Scouts of America, Daniel Boone Council. David was a Scout Leader from 1997-2000. David, the oldest of five children, lost his father at age 15 to pancreatic cancer and also lost the mother of his son to Leukemia in 2001. He started working in financial services in 1996 and is passionate in helping others to plan for life’s unknown journey. His main focus is working with business owners, pharmacy owners, professionals, and individuals to help them accomplish their most important life time financial goals. Matt began working with Waypoint in 2008 after a career in the mortgage industry. He is passionate about helping people achieve their lifelong goals. 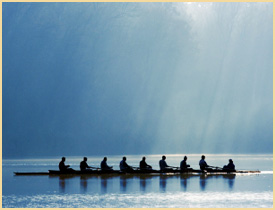 He specializes in individual retirement and investment planning. In June of 2012, after successfully completing the course work and passing the comprehensive exam, he was awarded his CFP® Certification. He received an honors Bachelor of Science degree in financial management from Clemson University in 2003. He is an avid sports fan and follows the Clemson Tigers closely. 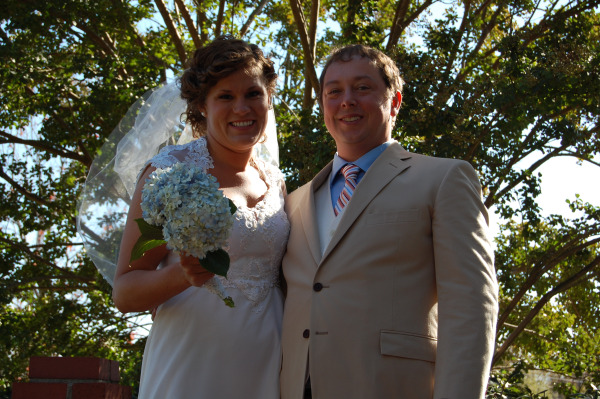 Matt has lived in Summerville, SC all his life and married another Summerville native, Kristy, in 2007. Together they have one dog, Kendall, a beagle. He believes in giving back the community that has given him so much. He is currently in the Summerville Exchange Club and has served on the Board of Directors of the local homeless shelter in Summerville. 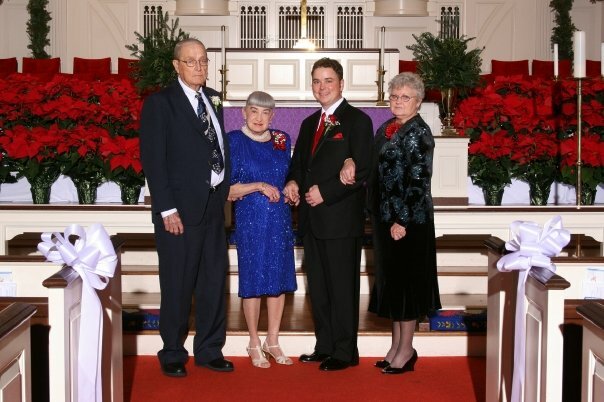 Matt is pictured above with his paternal grandmother and maternal grandfather and grandmother.